A quick-to-knit cowl with a chevron motif, evocative of breaking ocean waves, that maximises the impact of variegated yarn. This cosy garment has a nautical feel, inspired by Katsushika Hokusai’s iconic painting The Great Wave off Kanagawa (c. 1829–1833). 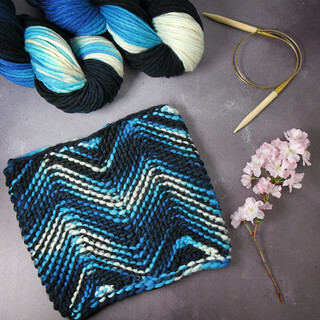 Tsunami was designed to perfectly compliment our yarn shade of the same name and is perfect for showcasing hand-dyed yarn with bold variegation. The garment is worked in the round. It’s a one-skein project designed for our super-chunky Phlump Merino yarn, making it a quick, satisfying knit. Easy to Enthusiast – Suitable for knitters with experience of knitting in-the-round and increasing/decreasing. 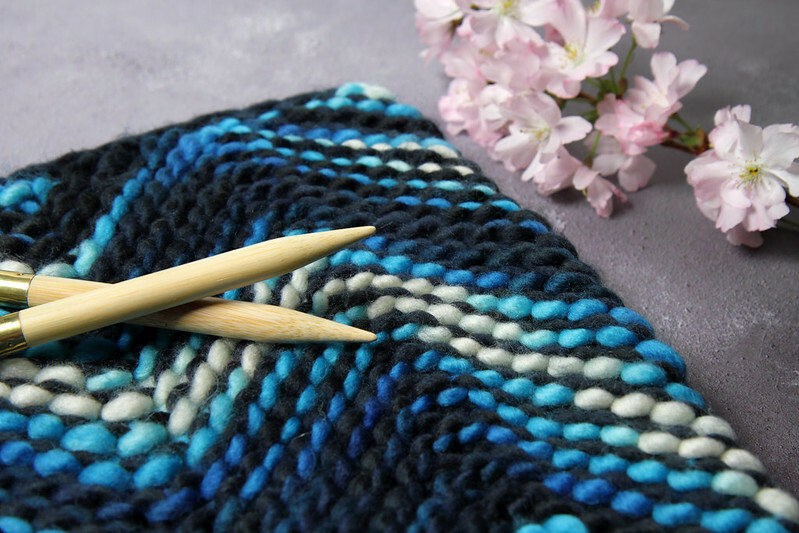 The pattern uses simple short-rows without wraps, but previous experience of short rows is not necessary. A photo tutorial for the backwards loop increase is included. Although the techniques are straightforward, the unusual use of shaping gives the more experienced knitter plenty to pique their interest. 130m/142 yards super chunky/super bulky yarn in pure wool or wool blend, with a recommended needle size of 10-12mm. 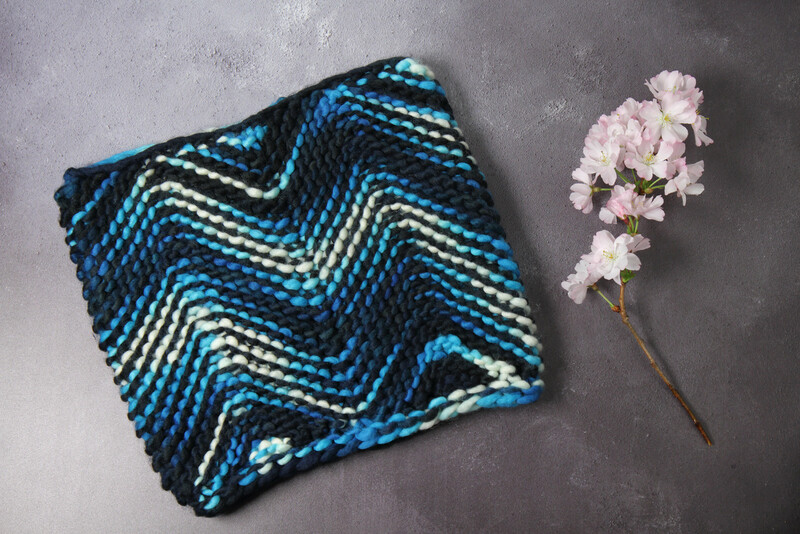 The chevron motif is perfect for flaunting variegated shades. For more subtle, textured zig-zag effects, plain and semi-solid yarn shades also work well. 4 × stitch markers to fit 10mm needle (or loops of scrap yarn). 10 stitches and 20 rows over 10cm/4 inches using 10mm needles in garter stitch.